Termite season is coming. Protecting your home starts now! Our K9 unit will come help you detect these pests! for all your pest control needs! Pest Control for your whole home! Complete pest control service for all your pest problems. Serving Lehigh Valley, Bucks County and Quakertown! We understand the ins and outs of eliminating every pest problem that can occur. 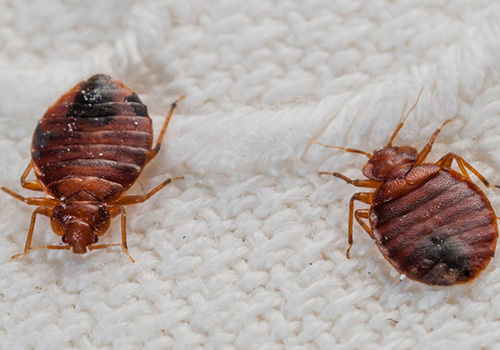 Our Bed Bug Exterminators will conduct a thorough FREE inspection of your home or office. We will check your home for moisture, your foundation for wood debris, and other areas that may attract an infestation. 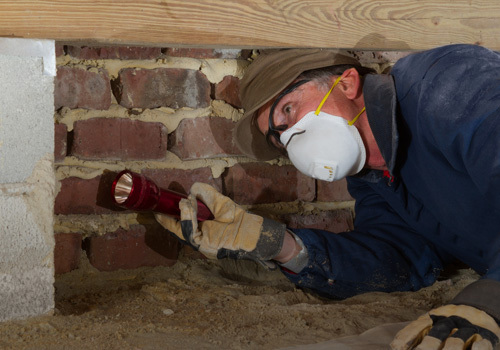 We specialize in real estate termite inspections that meet and exceed every standard. For over 45 years, Quest Termite & Pest Control has been a family owned and operated, full-service pest management company who handles everything from bed bug removal to termites, mice, bees, and so much more. Our expert team provides a fast, effective service to help you manage any pest problem you may have. 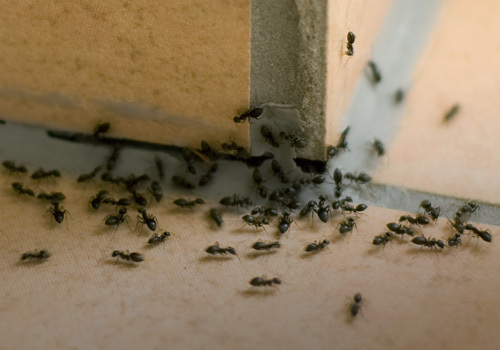 We offer residential, commercial, and industrial pest solutions from small problems to complete infestations. We have the knowledge and experience to bring you the results you need to have a pest free location. 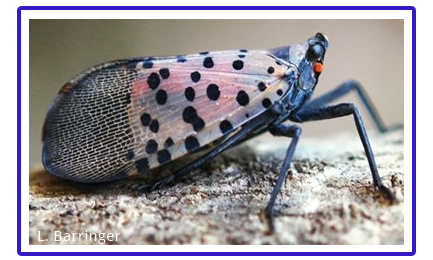 We are able to handle even the most complex pest control problems with our IPM (Integrated Pest Management) method. This has been determined to be the safest pest and termite control method in the industry. By using the IPM method, we can target the entire pest population rather than miniature break-outs. Gain peace of mind, and rest assured, that your home or business is in the right, qualified hands to handle your pest problems. 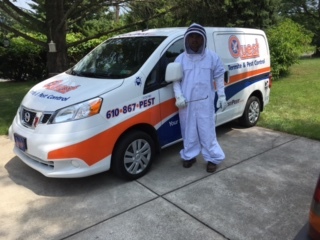 The Quest Pest professionals are fully state certified and licensed pest management professionals within the state of Pennsylvania. Let us take care of your problems with the best solutions. Start with a free quote so we can create the right pest management service plan that fits within your budget and schedule. We know that pests can bug you day or night. 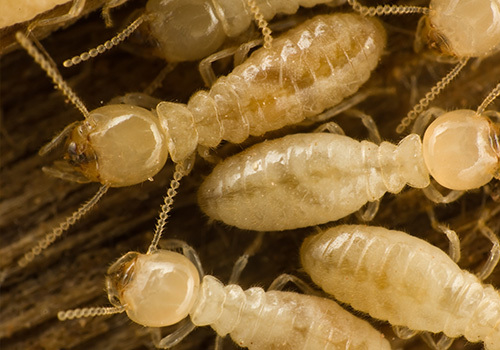 So when your home or business is in need of immediate pest control, make the call to Quest Termite & Pest Control! We provide a prompt treatment to keep the bugs and rodents at bay until we can effectively control the situation. Our certified technicians retain the expertise to fully identity, exterminate, and remove pests, satisfaction guaranteed. Whether you need a full pest control maintenance schedule, or you need a real estate termite and WDI inspection, our skilled team have the equipment, knowledge, and certifications to provide you with an exceptional pest control service. Quest Termite & Pest uses only proven, state-of-the-art materials and techniques when treating your property. We offer the option of one-time service or long-term care with a plan tailored to your pest problem. Every service begins with a thorough inspection of your property. Based on your structure's condition and family lifestyle, we will recommend certain appropriate measures. 610-867-7378 for affordable pest control services. Just wanted to thank you once again for helping us out by ridding us of yet another yellow jacket nest. Meeting Tom was a pleasure. He was very professional and polite and clearly communicated the precautions we needed to take after the completion of the extermination. Sharon has also been a pleasure to work with. She has been very thorough at scheduling and following through on each and every item that we discuss. The communication flow within your organization has been flawless. Last but not least, I truly appreciate your responsiveness and follow through each time I contact you for service. At a time when good customer service seems to be a 'thing of the past', your organization proves otherwise. Thanks again and please know I will take every opportunity to recommend Quest Termite and Pest. Just wanted to thank you once again for helping us out by ridding us of yet another yellow jacket nest. Meeting Tom was a pleasure. He was very professional and polite and clearly communicated the precautions we needed to take after the completion of the extermination. Sharon has also been a pleasure to work with. She has been very thorough at scheduling and following through on each and every item that we discuss. The communication flow within your organization has been flawless. Last but not least, I truly appreciate your responsiveness and follow through each time I contact you for service. At a time when good customer service seems to be a 'thing of the past', your organization proves otherwise. Thanks again and please know I will take every opportunity to recommend Quest Termite and Pest. Youell's Oyster House has chosen Quest Pest Control as our contractor for many years. The regular service and requested additional needs have consistently exceeded our expectations. From the professionalism and knowledge of the service technicians, to the corporate support, we have been very satisfied with our relationship. I and my staff have extremely high standards regarding sanitation, cleanliness and proper protocols mandated by local and state authorities. Nothing is more important in the food service industry than a clean, sanitary and well maintained facility. We are proud to have a partner in Quest Pest Control. Youell's Oyster House has chosen Quest Pest Control as our contractor for many years. The regular service and requested additional needs have consistently exceeded our expectations. From the professionalism and knowledge of the service technicians, to the corporate support, we have been very satisfied with our relationship. I and my staff have extremely high standards regarding sanitation, cleanliness and proper protocols mandated by local and state authorities. Nothing is more important in the food service industry than a clean, sanitary and well maintained facility. We are proud to have a partner in Quest Pest Control. Your service is excellent. Tom came yesterday and he is friendly and efficient and thorough and so knowledgeable. He explains things to me clearly. He is great with my kids too! You guys are so good about coming back at no additional charge if we have any sort of problem between sprays. We never have bug issues because of your service. It helps me sleep better at night knowing that there is nothing harmful or gross getting at my kids. I say that in all sincerity! Thank you for providing such a great service at an affordable price. I really think Tom is a wonderful guy and I look forward to seeing him every six months. In the past our technicians have been Dean and Paul, and they were both excellent too. Your service is excellent. Tom came yesterday and he is friendly and efficient and thorough and so knowledgeable. He explains things to me clearly. He is great with my kids too! You guys are so good about coming back at no additional charge if we have any sort of problem between sprays. We never have bug issues because of your service. It helps me sleep better at night knowing that there is nothing harmful or gross getting at my kids. I say that in all sincerity! Thank you for providing such a great service at an affordable price. I really think Tom is a wonderful guy and I look forward to seeing him every six months. In the past our technicians have been Dean and Paul, and they were both excellent too. I can't say enough about the fast response and fabulous customer service that Quest provided to us. We had a pest issue that was extremely stressful and needed immediate attention. When we called they got someone out right away, explained how they could help and handled it quickly. Great local company, I have already recommended them to friends and family. I received a recommendation from a good friend from my hometown Who is in the pest control business. He said Chris and his company were too notch and would provide the service I'm used too, and not the service I received from another company once I moved to the Lehigh Valley. Chris coordinated with Kendra at the office to have Tom come out and service my property for the fall and winter because we had almost been left out in the cold. Tom was excellent and did a thorough inspection and service of the property. Would recommend Quest over all else. I have used Quest for several homes purchases they are super friendly and explain everything I needed for closing on my new home. They were quick and reasonable. Chris was awesome, he was very professional, knowledgeable, and honest. He resolved my issue in a matter of 24 hours. He is all about providing great customer service!